Necklace Kit includes Gold Rhinestone Crown Pendant, 20 beads and hardware kit with wire, crimp tubes, clasp, end chain and rings. 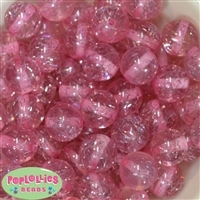 Note: Beads may pose a choking hazard for children under 3 years. Note: These pearls will change color slightly depending on dye lot. Please purchase enough to complete your project.